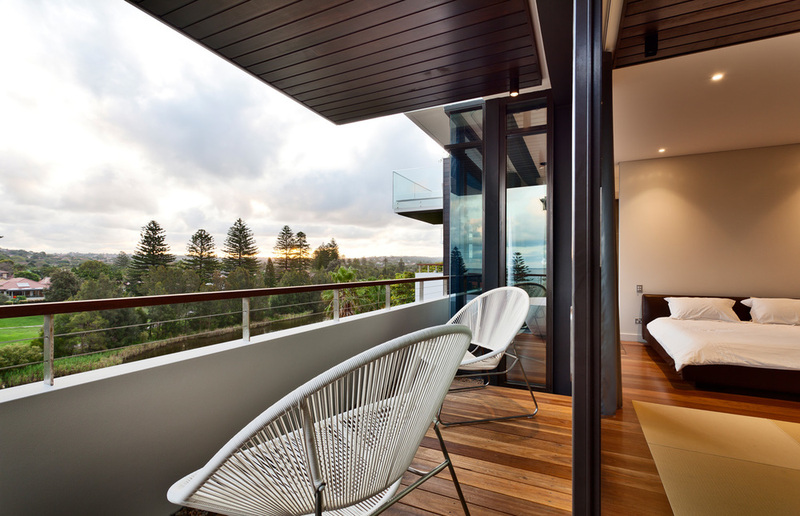 Buildability were engaged to construct two new residences located at Queenscliff on a difficult, steep block. The works included extensive excavation and remedial site works including rock stabilisation prior to construction commencing. 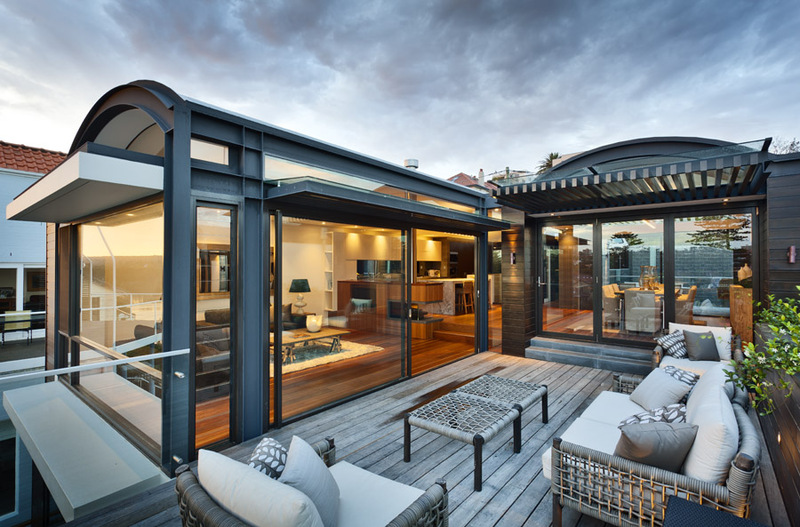 The 2 homes although similar in external aesthetic, were treated individually in terms of spatial layout & planning as well as interior design and finishes selections. 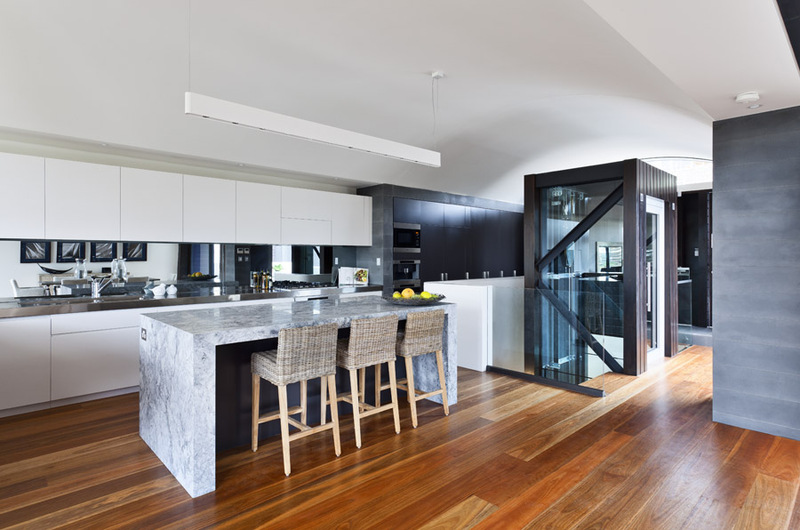 The homes both feature intricate timber cladding, barrel vaulted ceilings, natural stone, expressed steel and glass throughout allowing sea breezes and natural light to perculate through the interiors. 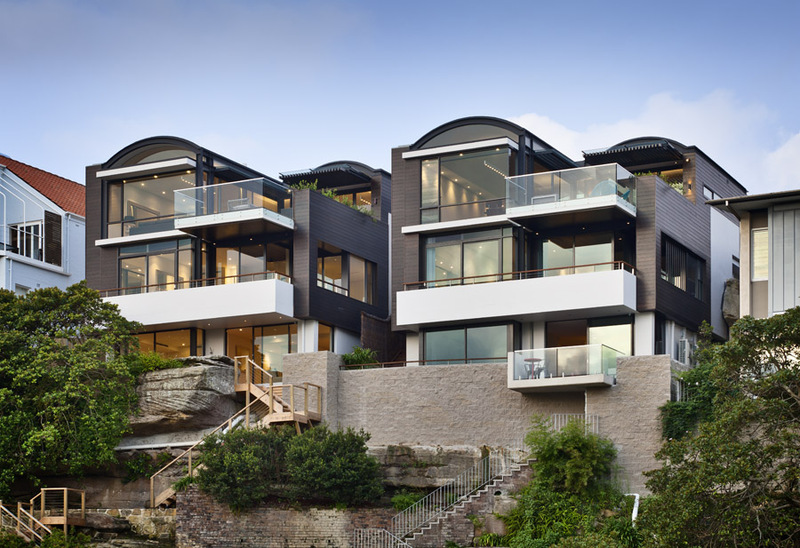 “The site of this 4 level dwelling comprised a steep hillside with uninterrupted views over the lagoon and ocean with street access limited and posing logistical difficulties for large machines and deliveries to the site. Sited on a rocky outcrop, this project required engineering resolutions to facilitate the sawing of the stone and rock stabilisation combined with rock bolting to the cliff face. 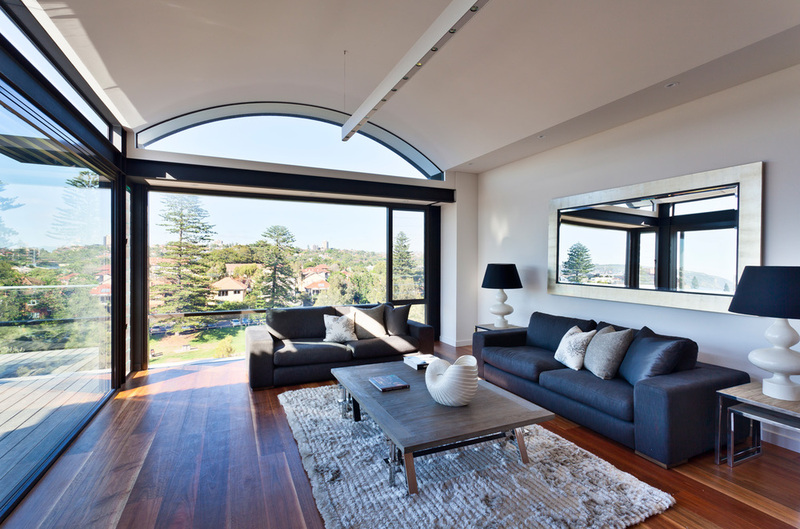 Precise set outs were required for the structural steel framework incorporating the barrel vaulted ceilings. 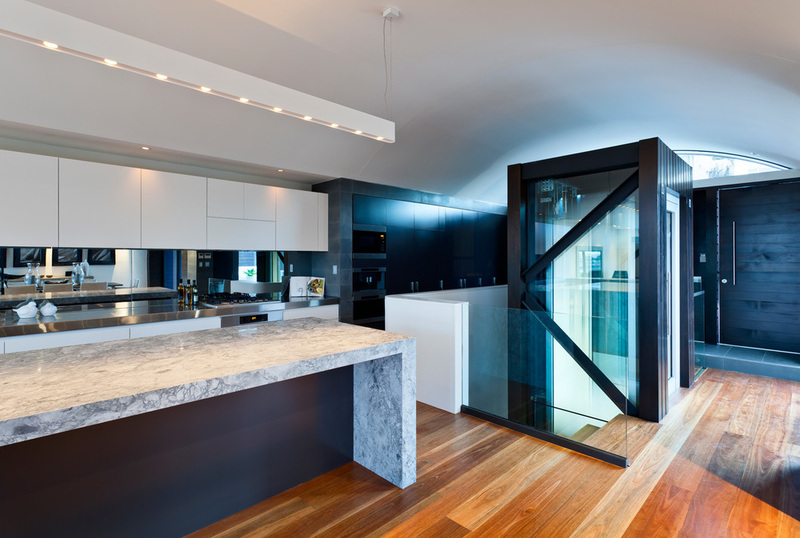 The residence features bluestone, split face masonry, off-form concrete, steel and glass. 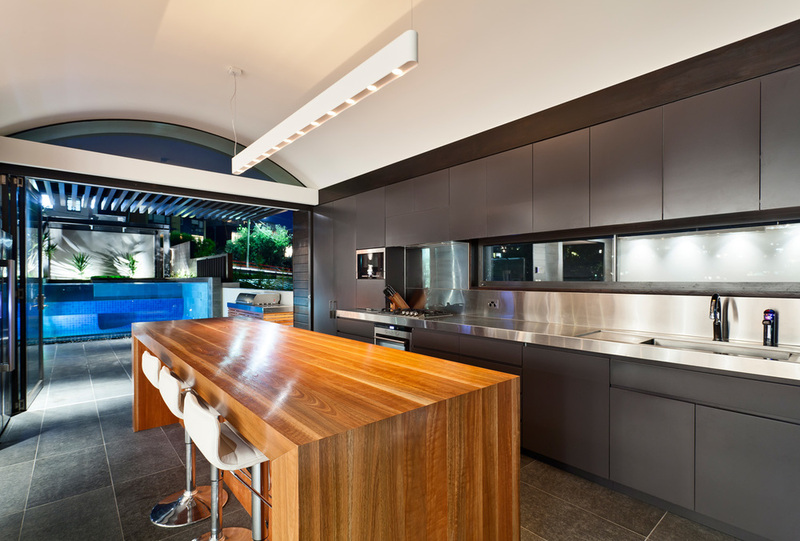 The quality of finishes to the wonderfully designed architectural features make this innovative residence a worthy winner”.